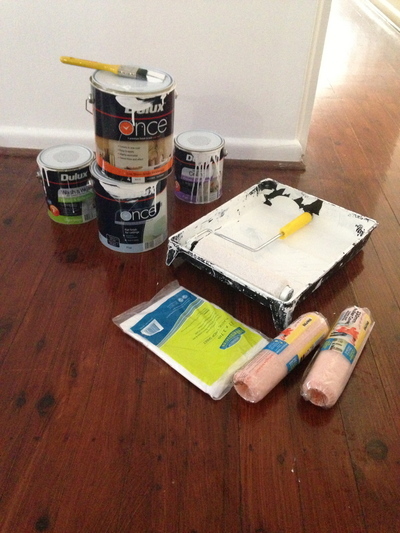 Painting your house can indeed be quite tiring, cumbersome and time consuming. Like anything, if well organised, planned and executed properly, you might give many talented and experienced painters a good run for their money. Painting a home internally (in other words, the walls) is a top priority when it comes to home improvement activities for many households. Furthermore, when done well, you will have a lot less cleaning up to do afterwards, albeit minimal (if any) paint on you. First and foremost, keep some old clothing on hand, namely those jeans beyond any sewing help, as well as cheap slip on shoes. Not smart to paint barefoot, and especially when climbing up ladders. Now to the essentials. 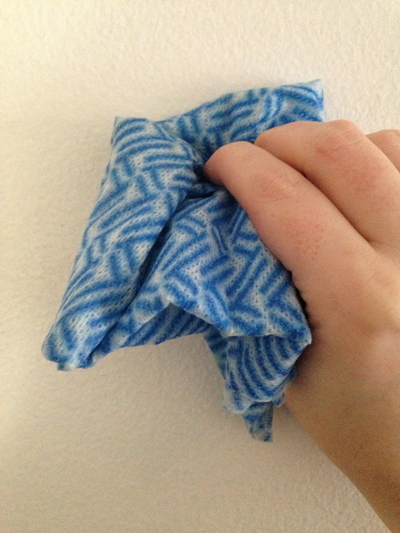 Before adding any paint to your walls (and even to your ceilings), it is wise to invest in some sugar scrub to clean those walls in particular. Sorry guys, elbow grease it is. This makes all the difference between mediocre and great, freshly painted walls. Also, seek advice on plastering any holes in walls before adding any coats of paint. Furthermore, there is no need to soak your cloth with water for the first time. Keep a bucket with warm water nearby to rinse out your cloth occasionally. Apart from the paints themselves, it is essential to stock up on canvas drop sheets, brushes, roller covers, and a stable ladder to name. Thanks to advances in painting technology, gone are the days where you need to apply two coats of paint. 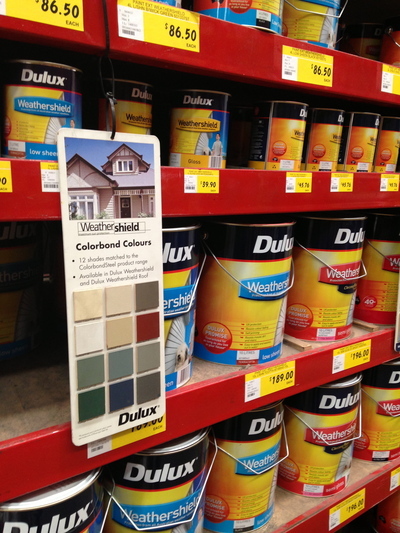 One coat will suffice, and this even includes the bathroom and kitchen areas of the home. Dulux Once is your go to product with less fuss. 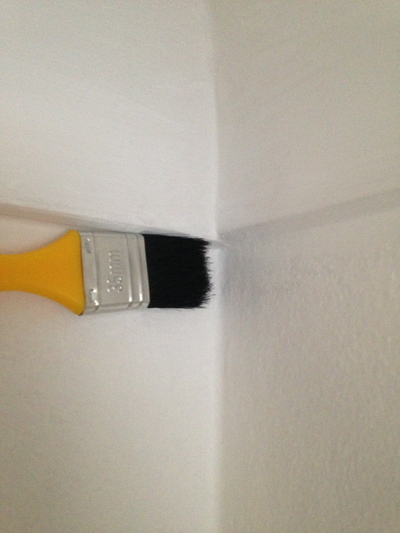 Ensure that the paint you use for the ceiling/s is different to the type of paint applied to normal walls. Canvas drop sheets are fantastic in covering up furniture items that are otherwise difficult to move into other rooms of the home. It is more ideal if furniture items, say in your living room, can be moved into a spare room and left there for a couple of days, to allow sufficient time for your paint to dry. 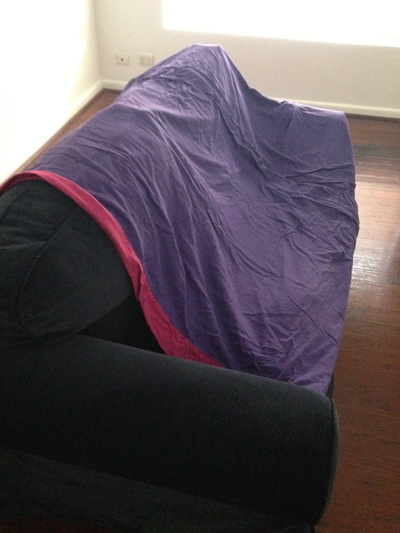 Otherwise old sheets are great for covering up any furniture items that cannot be moved or dis-assembled. Covering furniture, one of the essentials. The image below illustrates how yours truly does the drop cut, and how she did it when painting that particular wall in the living room of this particular home. The brush is intentionally dry to illustrate good drop cutting techniques. Do not paint willy nilly. Drop cutting walls and ceilings is absolutely critical before painting the rest of the wall/s. Do the same for any doors as well. Hot tip: there are some great YouTube video tutorials on this technique, and are usually presented by professional painters. Sure, some of these considerations would pose as common sense, yet it is easy to get kickstarted with your home painting project right away. Firstly, back to the drop sheets. Avoid those cheap plastic ones (hard lesson learnt), and avoid using normal sticky tape to hold drop sheets onto floorboards. Why? Unpleasant tape marks will show on parts of your floorboards, and can turn black rather quickly. Allow one room at a time, and also organise alternative accommodation in advance if any bedrooms are being painted in the home. Otherwise happy painting, and feel free to share any other painting tips for the home with us. Best and newest Easter treat in Sydney? Best place to stay in Sydney? Always buy a 'GOOD' Roller. No cheap one's. I have been painting some 35 years now, and it pays to buy the better ones.Paint will stay in the roller of the cheap ones, so the 'flock' gets heavy, messy....and a bad finish on the wall. 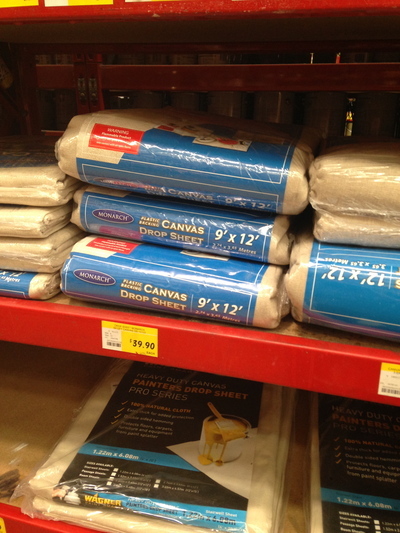 Remember you only get, what you pay for.So if you want a great wall finish, spend the extra. You also will eliminate splattering, with a good roller.